The blue field shows the state seal and in the center of the seal is a beehive, the state emblem, with a sego lily wing on either side which stands for peace. The state motto "Industry" means steady effort. 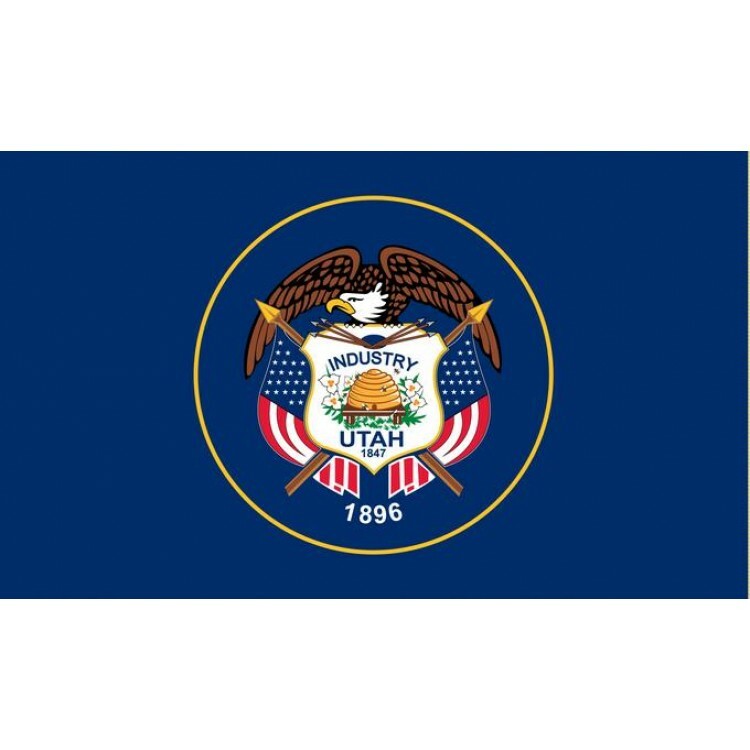 A national flag shows that Utah supports the United States. The eagle stands for protection in peace and war. The date 1847 represents the year that Brigham Young led a group of people to the Salt Lake Valley to reestablish in Utah, the Church of Jesus Christ of Latter day Saints, also know as The Mormons. 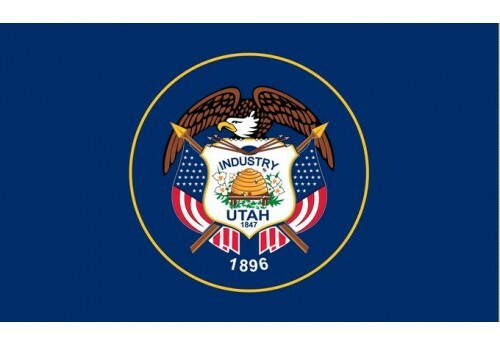 The date 1896 represents the year that Utah gained admission to the Union of the United States.